I was brought up in a household where we played boardgames. Classics like Monopoly and Cluedo were regularly out of the box and the family sat round the table and fought it out. Other games have come and gone. Railroader, and Escape From Colditz are still in the top cupboard in my room at my parent's house. Now a days we are more likely to be playing RISK, although a friend of mine from University who was visiting a while ago was horrified by how cut throat the game was! "You couldn't play this if you were not a close family" was his comment "Your relationship would never survive!" Recent games that have arrived are Carcassonne, and the current favourite, until this week, was Ticket to Ride. However, there is a new kid on the block North Pole - A penguin vacation . Very simple game. Your penguin wants to leave the North Pole and go on holiday. He (or she) has the travel across the pack ice. You can waddle (the slowest method), use snow shoes or a sled. If you are really going for it then the Dog Sled is the fastest way to move. You have to watch out for holes in the ice though. They can block your progress. 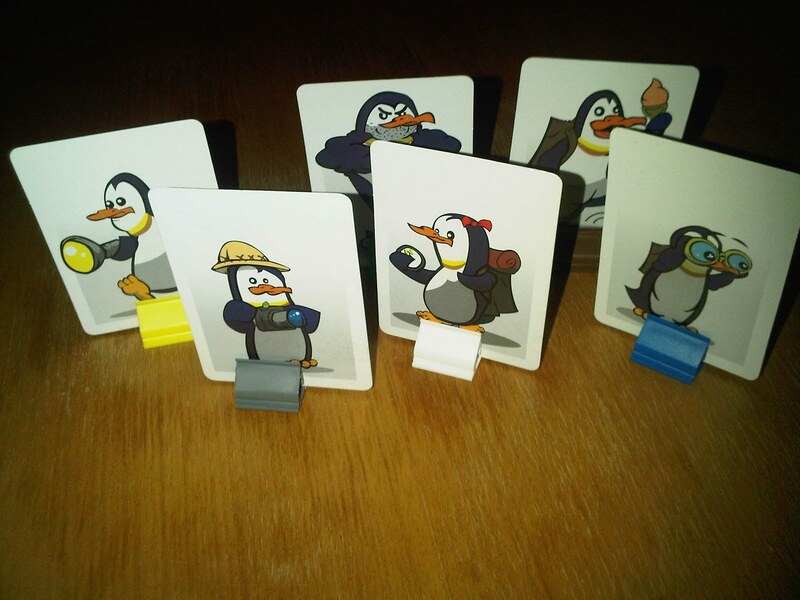 The only gripe I have with the game is the penguin playing pieces! Flimsy cards on cheap plastic stands. OK they look cute but I would have preferred something a bit more substantial. So I trotted off today to Toys-R-Us to buy some cheap plastic penguins. Its the first time I've been in this shop for several years. Just about every toy in the place seemed to be linked to a film, TV Show or other "integrated marketing strategy" Kids these days apparently don't play with anything that doesn't have a theme or a TV Show behind it. I did eventually find a plastic penguin. In a small section of farm animals. However, they were £4.95 EACH. That would be £30 for playing pieces for a game that cost me £10. I didn't buy them but the search continues!